Three years ago, Twenty One Pilots captured lightning in a bottle with their album Blurryface. They topped the Billboard charts, won the Top Rock Album at Billboards Music Awards in 2015 and was ranked number one in Alternative Press’s “10 Essential Records of 2015.” Blurryface was the first album in history to have every track receive at least a gold certification from the Recording Industry Association of America. Then, after two years of touring, they vanished. The website went silent, no news of them making more music circulated, no one heard from them until April of 2018. 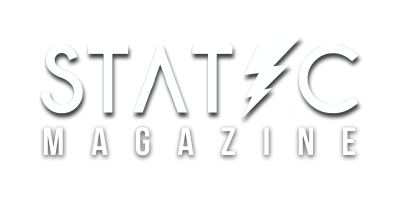 After a year of silence, a cryptic message was found on the bands web store, which led to a website. Fans began following clues and letters from a character named Clancy found on a website, decoding the messages. After months of the internet buzzing with excitement and curiosity, the band broke their year long silence with an odd email and a video with their new branding. Overnight, billboards all over the world went up announcing the duo’s triumphant return from the deafening silence with their new album Trench, along with dates for a new world tour. The album was released on October 5th, 2018, with the The Bandtio Tour kicking off on October 16th. They are touring with Max Frost and AWOLNATION, whose song ‘Sail’ took the internet by storm in 2010. 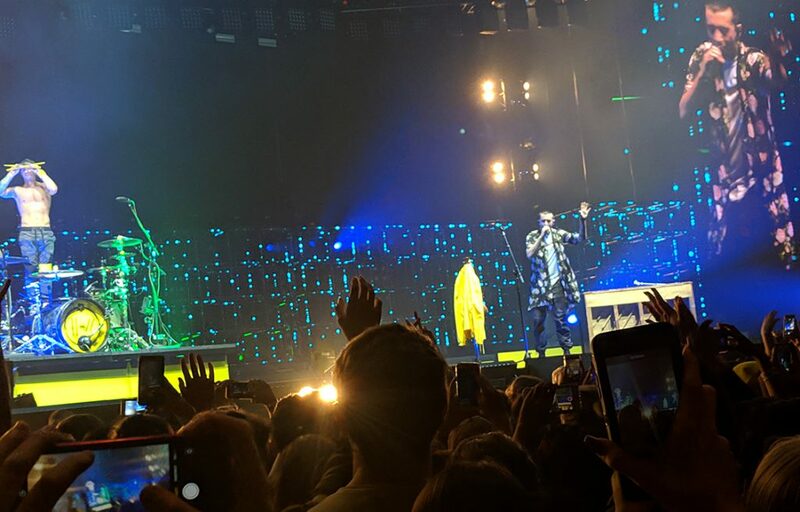 Fans clad in yellow duct tape and jumpsuit jackets packed in to the American Airlines center last night in anticipation for the Twenty One Pilots last Texas show of the tour. Max Frost opened the show with some music from earlier albums, ending his set with his newest song ‘Good Morning’ from his album Gold Rush. As the crew began their sound check for AWOLNATION, Louis Armstrong’s what a wonderful world began filtering through the speakers earning a laugh from a good portion of the crowd. 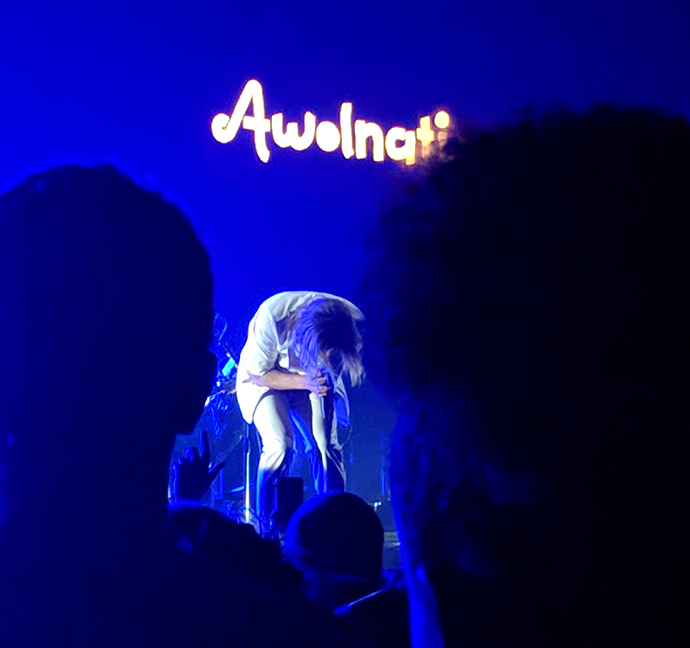 As the song reached the last line, the sound cut and lead singer and founder of AWOLNATION Aaron Bruno appeared in the center. Wasting no time, the band launched into music from their newest album Here Come the Runts, which was released February 2nd of 2018. You could tell the band had a blast, Aaron dancing around the stage as he sang while Zach Irons, the band’s lead guitarist, jumped around and head banged as he played. During ‘Table For One’, Aaron and Zach waltzed across the stage together, somehow still singing and playing guitar without missing a beat. Right before their last song, Aaron instructed the fans to light up their phones to do a massive wave of light. 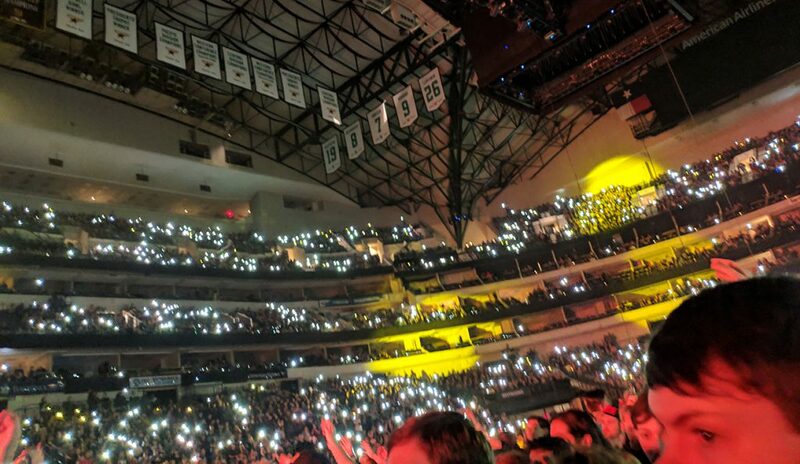 It was an epic visual, from the left side of the stage all the way around the crowd, people threw their phones up causing a ripple of tiny lights across the entire arena. As they wrapped up their set, Aaron decided to play one last song that he wrote eight years ago. He introduced it, talking about how he wrote it during a really low point in his life, thinking no one would ever hear it. “Until one day,” he said, amid the excited roar of the older crowd. “One day a radio station right here in Texas played it. It’s called Sail.” Even after eight years, the song is still ingrained in almost every person’s mind. Sail took over the world back in 2010, every vine, meme and YouTube video containing one variation or another for nearly a year. People threw their fists up, singing along with Aaron as the band wrapped up their set with their biggest song ever made. Until then, the majority of the stage had been hidden behind a large black cloth, presumably hiding all of the sets for the lead act. 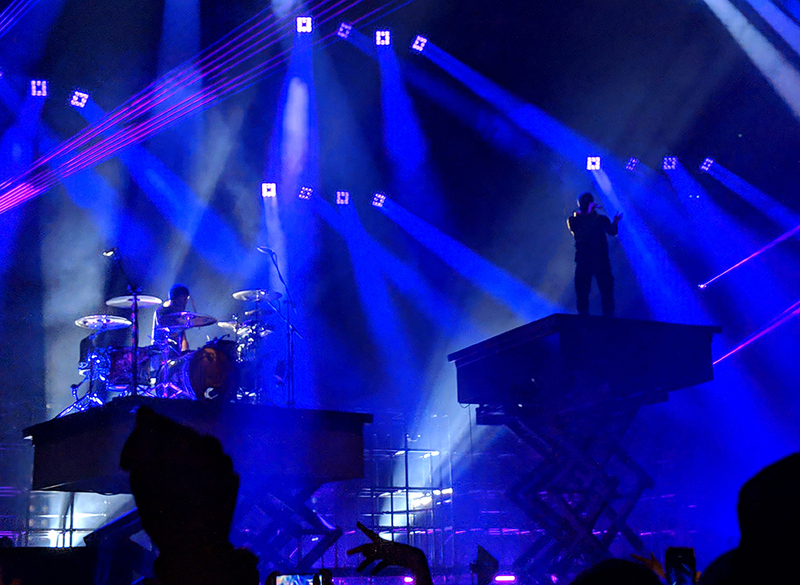 Twenty One Pilots has been known to put on visually spectacular shows, climbing all over things, doing back-flips off of pianos, disappearing and reappearing in different parts of the venue. I thought I was prepared for the show, went in thinking I knew what to expect. I was very wrong. The black cloth dropped and there stood Josh holding a lit torch wrapped in his jumpsuit and yellow bandanna covering his face. He walked the length of the stage before turning to walk to the back of the stage. Passing the torch off to a stagehand, the first notes of ‘Jumpsuit’, the first track on Trench, started pounding through the speakers, the base and heavy guitar shaking the stadium. The car from both the ‘Heavy Dirty Soul’ and ‘Levitate’ music videos caught appeared on the stage, fire shooting from it’s hood and roof. Strobe lights blasted the audience, red light pulsing on the screen with disorienting stuttery videos of Josh and Tyler as they played their instruments. The lights went out as the first song ended. An unsettling wail, quiet at first, filtered through the speakers. It grew in volume as a purple light shone across the stage, building in tandem with intensity. For thirty two seconds this sound went on until a white light flashed across the stage, revealing Josh and Tyler in the traditional ski masks. The ground beneath began to lift up as Fairly Local began playing. About halfway through the song, the stage went black and Tyler reappeared in the middle of the crowd to the right of the stadium, standing on a platform to finish the song. ‘Heathens’ is one of Twenty One Pilots most well known songs, so it came as no surprise to me that they performed it in the show. Purple and green lights illuminated the crowd as Tyler played the opening notes on piano. Men in white jumpsuits and gas masks ran around the stage, spraying white smoke into the crowd. 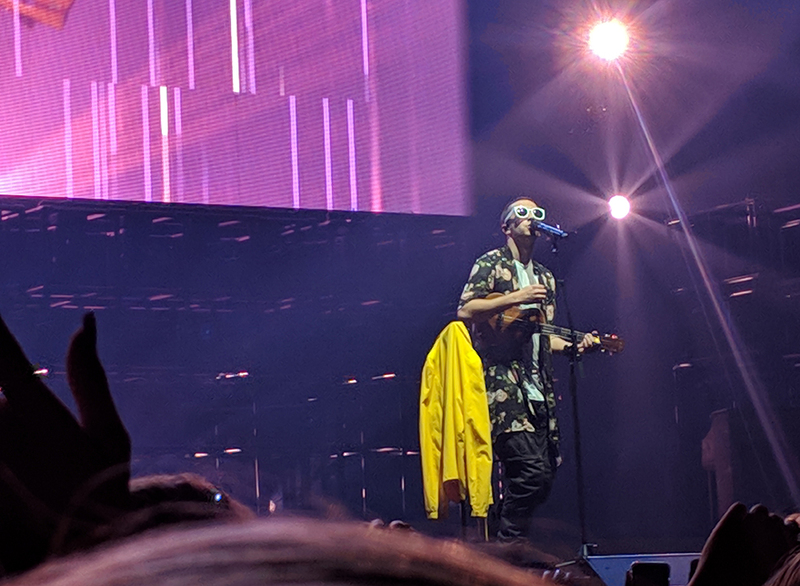 During ‘Holding On To You’, a song from their album Vessle, Tyler walked into the crowd and actually stood on the crowd. Not in, on. He’s been known to do this at a few of the previous shows in the tour, where a group of people in the crowd hold him up by the ankles while he raps. Similarly, during ‘Nico and the Niners’, a platform was laid out for the crowd to hold with a three piece drum set for Josh to play on. Even with them playing old songs, I was taken completely by surprise when Tyler walked along a raised catwalk to the other side of the arena where a smaller stage was set up and began playing ‘Taxi Cab’. ‘Taxi Cab’ is a song from their self titled album, and isn’t a very well known song of theirs. It is one of my favorite songs they’ve ever done, and seeing it live was an experience I won’t soon forget. While on the small stage, a gauzy screen lowered around them, descending with strings of lights. ‘Neon Gravestones’ began playing as fog circled through the screen, the lights casting swirling shadows. Suddenly, a live feed of Tyler playing the piano appeared over the transparent fabric circling the stage. Greyscale and back-lit by the hanging lights, it gave the whole scene a ghostly feel, sobering the crowd with the important message the song presents. All through their set, platforms were raising and lowering Josh and his drums or Tyler as he sang and rapped. Tyler and Josh both ran along a catwalk above the heads of the crowd in the pit, Josh did back-flips off the piano and Tyler jumped off of all manner of sets constructed on the stage. It was clear that they weren’t just going through the motions of a concert, and sometimes I even forgot they were playing music because I got so caught up in the visual masterpiece that was the show. Even people who aren’t fans of their music came out just to see the show itself. For as long as they’ve been touring, they have always ended the show with the same song: Trees. Trees is one of their oldest songs, making appearances on Tyler’s unofficial mixtape No Phun Intended, Regional At Best and Vessel. The song has been redone numerous times, and is widely accepted as Tyler’s favorite song to play around with. The love for this song was obvious as he performed it, the lyrics sang so lovingly as Josh stood up at his drums to pound out the heavy rhythm. As the music slowed, two drums were laid out on either side of the stage in the crowd as once more fans supported the platforms. Josh and Tyler climbed into them with sticks in hand, the two of them standing proud facing one another with huge grins. 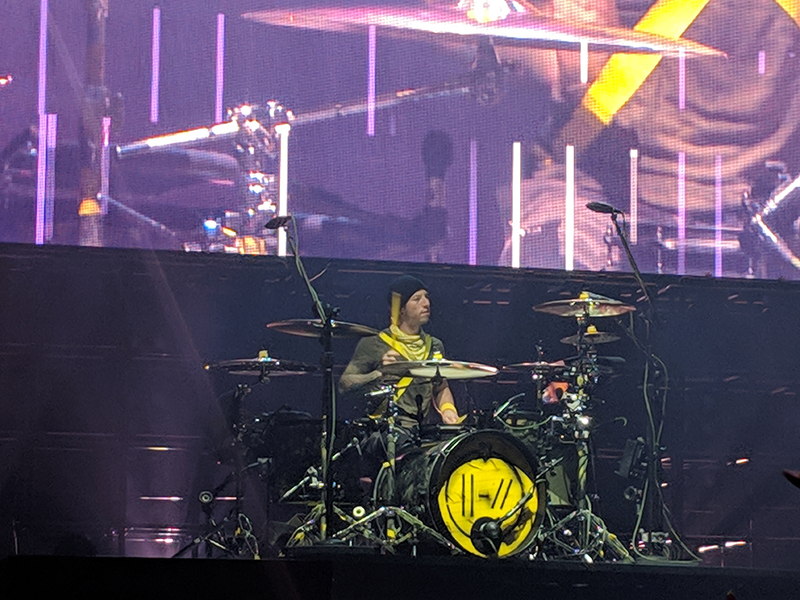 Josh counted them off and as one they brought their sticks crashing down as yellow confetti explode out across the crowd. I’ve been to a lot of shows in my life, and nothing has ever been more visually impressive, more well produced, more insanely creative than the show Twenty One Pilots put on. It was impressively done, with unique ideas like the stage wrapped in a transparent projector screen and the car literally on fire on the stage. The concert was at some moments exactly like a laser light show, and the whole thing reminded me a bit of seeing Trans-Siberian Orchestra when I was ten. Dallas-Fort Worth, Texas Sci-fi and Fantasy enthusiast and Star Wars Fanatic. Favorite artist: La Dispute. I feel like their lyrics are second to none, and that the way they present them as the focal point is unique in the best way. Favorite venue you've visited: My favorite venue is a tie between Trees in Dallas and Twilight Lounge in Fort Worth. Both have an awesome atmosphere and some really cool artists.